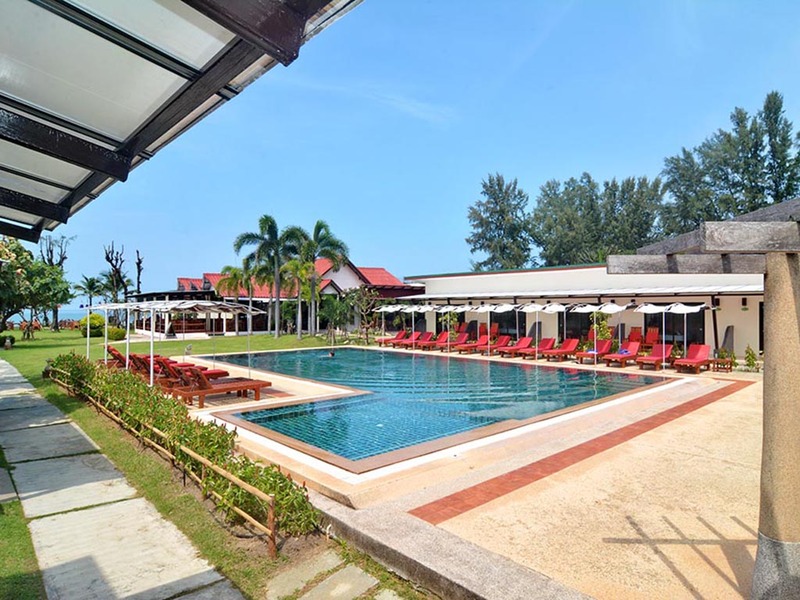 Golden Bay Cottages Resort Koh Lanta is a small and cosy beach front hotel, perfectly located in the middle of Klong Dao Beach on the northern end of Koh Lanta Yai. The resort sets in the spacious private grounds, overlooking a nice garden and peaceful setting, along with the large and clean swimming pool. The sea side restaurant is very good and perfect for a romantic dinner. 3 days / 2 nights – Price in Thai Baht per person starting from 4,000 >> Get your Free Quote! Private Koh Lanta Airport Transfer. 2 nights accommodation in Superior Room based on twin/double sharing. Breakfast & Tax & Insurance. 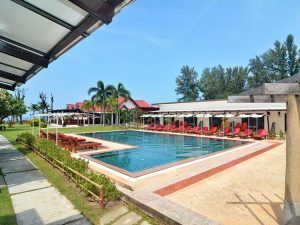 Easy Day Thailand Hotel Review – Golden Bay Cottages is a nice, clean and modern beachfront bungalow resort. Located in the middle section of Khlong Dao Beach, north Koh Lanta Yai, just a couple of minutes drive from Saladan Pier. Short walking distance to 7/11, Tesco Lotus and many independent restaurants/shops on the main road. The setting is right beach front allowing great sea view from some of the room types, and romantic dinners at the restaurants with the tables right next to the beach. The pool is very clean and welcoming with plenty of sun beds. Both rooms and common areas are very clean and well maintained. The rooms are very spacious, well furnished and comfortable with efficient air con. All room types have been newly rebuilt recently except for the cheaper Standard Rooms which are on the back side, but despite the older decor and smaller size they still up to standards and value for money. The restaurant is good with reasonable prices considering the beach front location, the buffet breakfast has plenty of choices and eggs are cooked fresh to order. All the staff I met were friendly and helpful. Much much better looking than all of the other resorts I visited in Koh Lanta within the same category and price range. As most of our hotel packages include transfers also this package includes a Round Trip Transfer from Krabi Airport. Just in case you like to make your own way to the hotel, here the address and a map. Early check in / Late check out: Subject to availability and period. Children’s Policy: only children minimum 8 years old are allowed in the resort.